1. The safety of energy drinks has been established by scientific research as well as regulatory agencies around the globe. In fact, the European Food Safety Authority confirmed the safety of energy drinks and their ingredients after an extensive review several years ago. 2. Most energy drinks contain significantly less caffeine than a similarly-sized coffeehouse coffee. Many contain about half – a typical 16-oz energy drink contains about 160 mg of caffeine, while a typical 16-oz cup of coffeehouse coffee has about 330 mg of caffeine. A typical 8.4 oz energy drink contains 80 mg of caffeine. 3. Energy drinks are regulated by the U.S. Food and Drug Administration (FDA) and the U.S. Federal Trade Commission (FTC). Energy drinks, their ingredients and labeling are regulated by the FDA and, as with most consumer products, their advertising is subject to oversight by the FTC. 4. Energy drinks contribute only about 2 percent of caffeine intake - from all sources - in the American diet. A report on caffeine consumption among the U.S. population commissioned by FDA in 2009, and then updated in 2010 and again in 2012, indicated that teens and young adults ages 14 to 21 years consume, on average, approximately one-third the amount of caffeine as people over 21 – about 100 milligrams per day – and that most of their caffeine consumption is from beverages other than energy drinks (Somogyi 2012). The 2012 report also showed that the average amount of caffeine consumed has remained constant. 5. Most mainstream energy drinks voluntarily list the total amount of caffeine from all sources right on the label. This information is also readily available on company or product websites, as well as through their toll-free numbers. 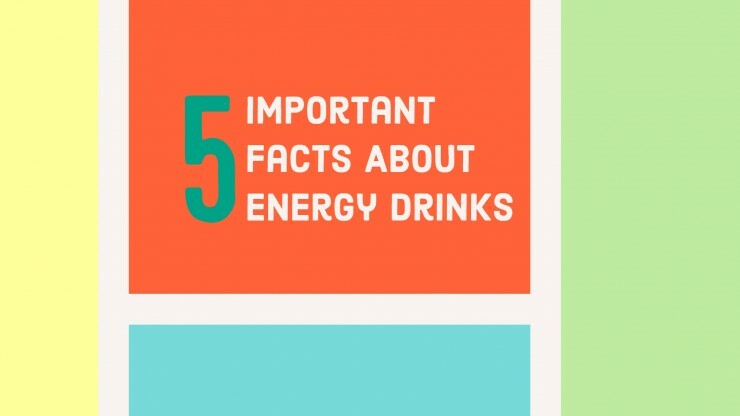 To find out more and test your energy drink knowledge, visit energydrinkinformation.com.